had very little airpower left by the time he got there, the Corsairs he flew were ground attack and so spent their time bottling up the Japanese troops in Rabaul and other garrisons throughout the Solomons chain. The NZ squadrons spent a lot of time supporting the Australian Army in Bougainville; I've spoken to Aussie and NZ vets and while they do concentrate on the funny things that happen, the reality is that it was a really savage set of actions - no quarter given or taken - with no real purpose other than to show the Americans that "Hey, look; we're still fighting, too!!" 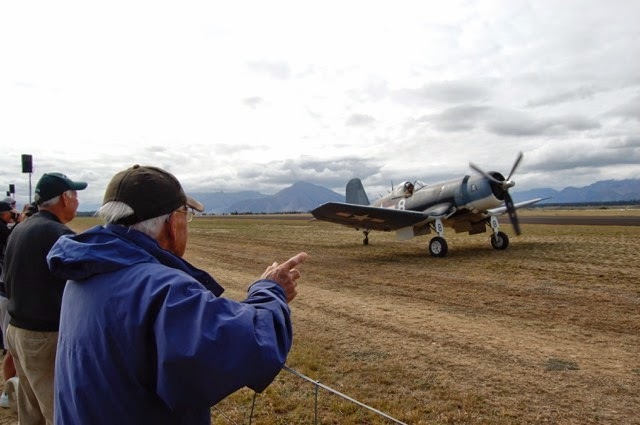 Des at Wanaka, with an example of one of the planes he flew. 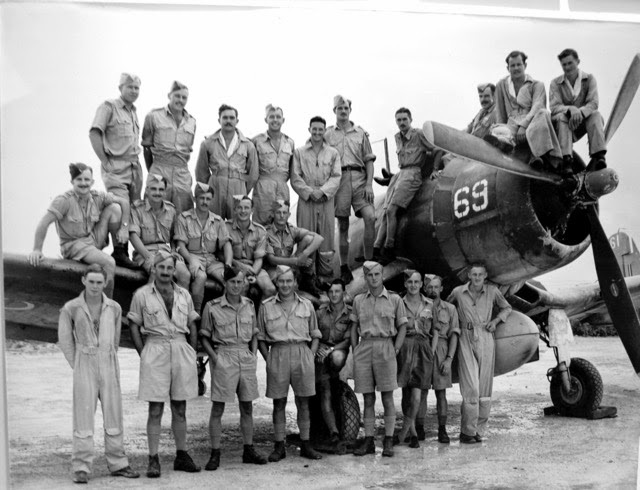 Des is on the wing of the plane, second from left of those seated.